We specialize in well-engineered, cost effective machines for sharpening and resharpening tools. We represent KAINDL Schleiftechnik from Germany as their Master Distributor. KAINDL and its sharpening machinery is a “household” name in Europe and we hope to make it the same in North America. 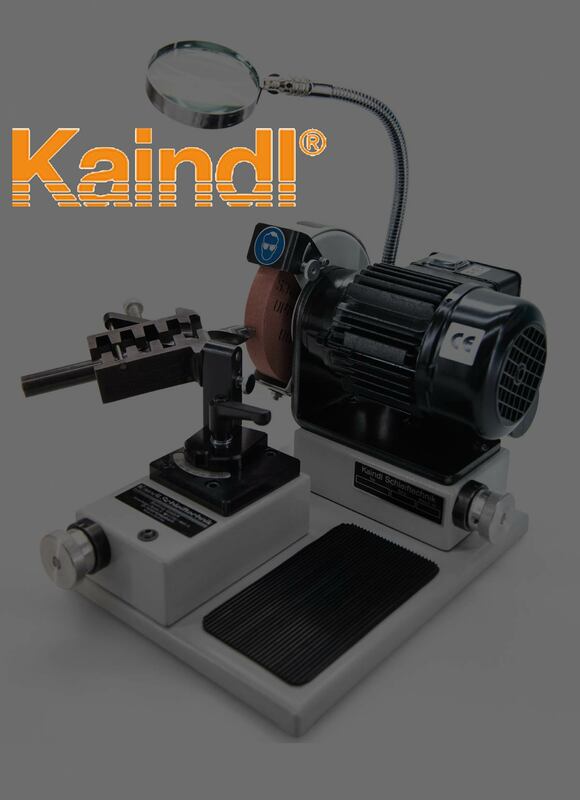 KAINDL offers drill grinders, annular cutter grinders, circular saw sharpeners (manual, semi-automatic and CNC), rotary knife sharpeners, TIG electrode sharpeners, a “See Through” bench grinder and a full CNC Tool and Cutter Grinder. We formerly were the Master Distributor for Brierley Machine Tools Ltd who ceased operations in 2005. Working with two of their former employees we are supporting their manual and CNC drill grinders sold over the forty years they were in business with mechanical parts and attachments. We have limited ability to support the computer gear in the CNC machines, practically none for any CNC machine built prior to 1998, as the technology keeps advancing and many of the boards and other associated hardware are now obsolete. Chester Machine in the UK bought the Brierley name and is offering an updated modernized manual drill grinder under the Brierley name, and we are representing them for those models too. We formerly also owned the CUTTERMASTER® Tool and Cutter Grinder and had licensed Conquest Industries to produce and sell it. We recently sold Conquest industries the full rights to it and you will find a link here to their website. The CUTTERMASTER® Tool and Cutter grinder is the premier bench top tool and cutter grinder available and has the capability of resharpening a wide range of cutters used in the machine tool industry and is the only manual machine that can also resharpen CNC router bits for the woodworking industry. Additionally Conquest Industries is a stocking dealer for the KAINDL Drill grinders. On the following pages you will find information on all the models mentioned above. Thanks for visiting and do not fail to call or email us if you have questions.